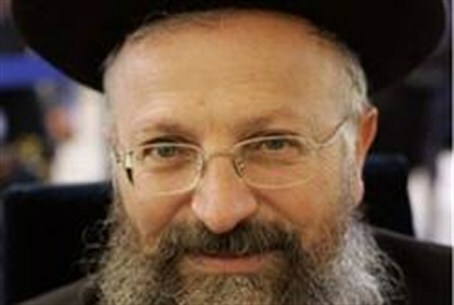 MK Esawi Frij says Rabbi Shmuel Eliyahu should be barred from Chief Rabbi race due to racism. MK Esawi Frij of the Meretz party is seeking to bar Rabbi Shmuel Eliyahu, the Chief Rabbi of Tzfat, son of the late Sephardic Chief Rabbi Mordecai Eliyahu, from consideration for the post of Chief Rabbi of Israel. Frij wrote a letter Tuesday to Attorney General Yehuda Weinstein calling on him to disqualify Rabbi Eliyahu for racism. “This morning I encountered a campaign for ‘rabbi’ Shmuel Eliyahu to serve as Sephardic Chief Rabbi of Israel,” Frij wrote. “It would be a shameful stain on the state of Israel, which has had its name sufficiently stained… I expect that the Attorney General will not allow a racist and inciter to compete for the government post of chief rabbi,” he concluded. Rabbi Eliyahu, much-respected scholar and leader in the religious Zionist world, faced a criminal probe for allegedly calling Arab culture "cruel" and suggesting that it "normalizes violence," despite clear calls for violence on the part of Muslim leaders. He has also been accused of racism by the left for opposing the sale of apartments in Tzfat to Arabs. Rabbi Eliyahu countered that Arab groups with Saudi funding are seeking to take over the city, making the sale of apartments to Jews a Zionist interest.